The Odd Squad investigates strange events. Oona meets Dr O's replacement. 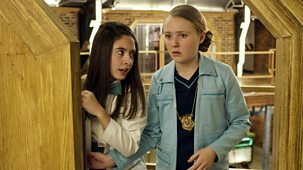 The Odd Squad investigates strange events. 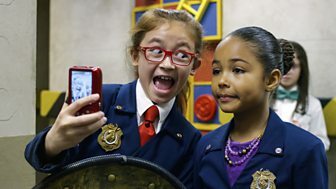 Special agents from the Big O's office threaten to shut down Odd Squad. 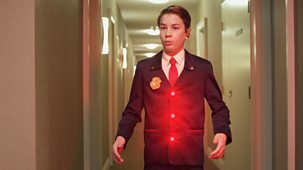 The Odd Squad investigates strange events. When Olympia finds out Dr O is leaving, she struggles to throw the best goodbye party ever. 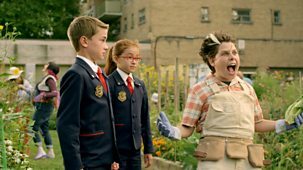 The Odd Squad investigates strange events. Delivery Debbie goes undercover to stop a group of villains. 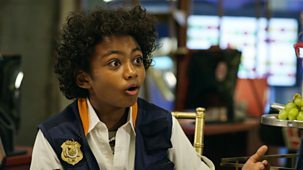 The Odd Squad investigates strange events. 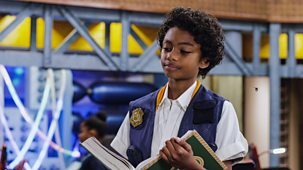 Odd Squad must go undercover to recover a stolen gadget. 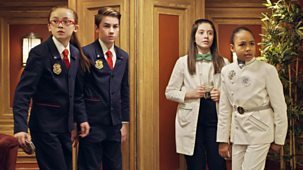 When a group of adults run Odd Squad out of business, the agents are forced to become regular kids again. 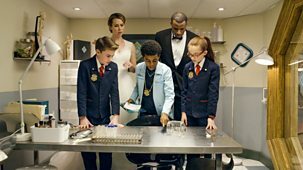 The Odd Squad investigates strange events. 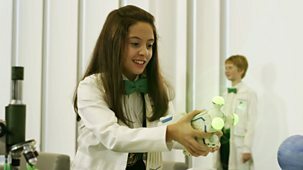 Oona uses her Oonabots to fix an odd problem. 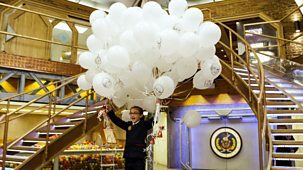 The Odd Squad investigates strange events. The agents are called in to help when Ohlm and Orchid have problems working together. 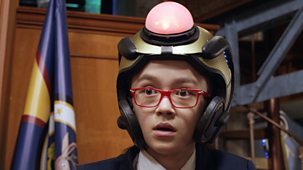 The Odd Squad investigates strange events. A villain steals Ms O's voice. 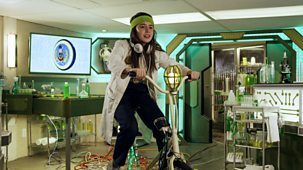 The Odd Squad investigates strange events. 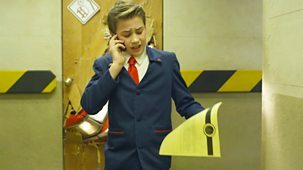 It's villain report card day at Odd Squad. 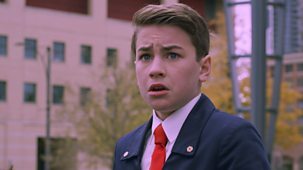 The Odd Squad investigates strange events. The agents bring someone with an odd problem back to headquarters. 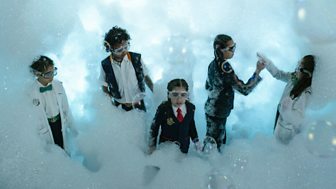 The Odd Squad investigates strange events. Agents recall how a beloved gadget helped them. Oona gets zapped into an alternate dimension.\n\nCurriculum: Place value, number operations. The agents try and stop baby Agent Orson from getting kicked off the squad.\n\nCurriculum: Using bar graphs, pie charts and Venn diagrams to sort, classify and analyse data. 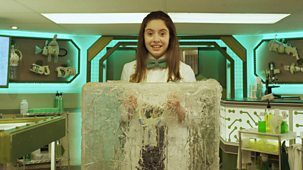 The Odd Squad investigates strange events. A villain sets off a backwards bubble. The agents must come together to battle a common enemy.\n\nCurriculum: Charts, line graphs. Data Analysis and Collection. The Odd Squad investigates strange events. 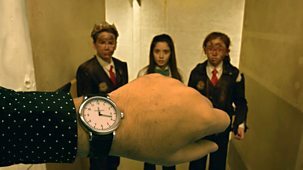 The agents try to escape from a time loop. Olympia discovers a secret about her partner.\n\nCurriculum: Charts, line graphs, data analysis and collection. The Odd Squad investigates strange events. The Odd Squad investigates strange events. Ms O gets kicked out of her office due to odd infestations. 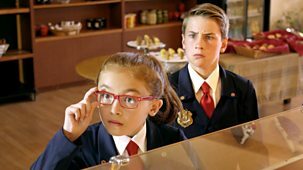 The Odd Squad investigates strange events. The agents compete to win Agents of the Month. 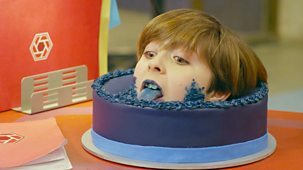 When a virus that turns people into cakes spreads through headquarters, the agents try to contain the outbreak. Ms O tells Olympia and Otis a story about a famous villain duo.\n\nCurriculum: Adding, subtracting and multiplying by zero. 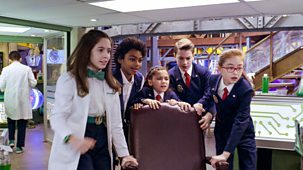 The Odd Squad investigates strange events. Coach O determines which agents get to visit the unicorns in Cloud Town. 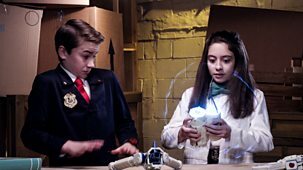 The Odd Squad investigates strange events. 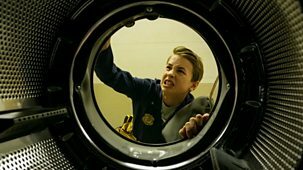 The agents discover things are very different at Odd Squad at night. 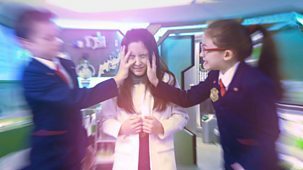 The Odd Squad investigates strange events. 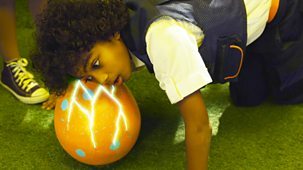 The agents try to determine what kind of creature will hatch from an egg. 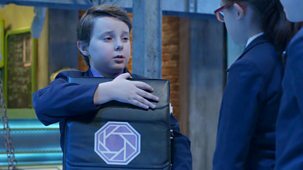 Odd Squad builds an exact replica of the villain’s vault to intercept a jetpack. 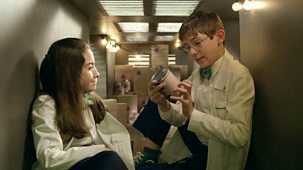 The Odd Squad investigates strange events. The agents celebrate an important milestone in their partnership. 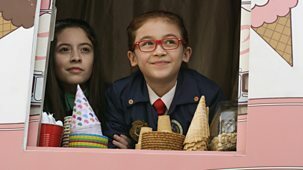 The Odd Squad investigates strange events. The agents struggle to catch an odd creature. 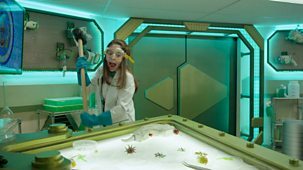 The Odd Squad investigates strange events. 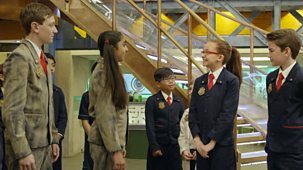 The villains team up to break into Odd Squad headquarters. 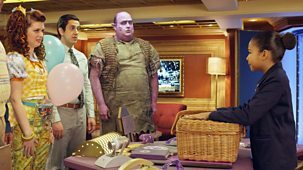 The Odd Squad investigates strange events. Dr O gets an odd illness called the sillies. 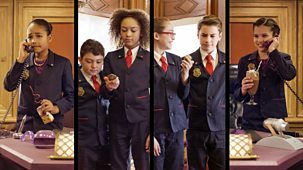 The Odd Squad investigates strange events. Owen and new recruit Ozlyn wait out a storm while transporting a creature. 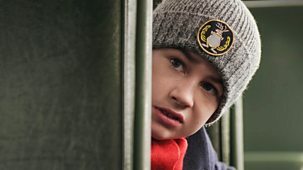 The Odd Squad investigates strange events. When every agent turns into a puppy, it's up to agent Ohlm to save the day. 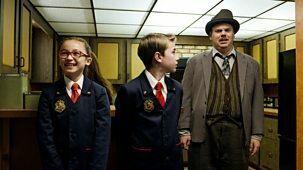 The Odd Squad investigates strange events. The agents accidentally lose someone in headquarters. 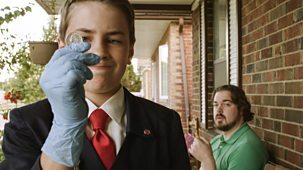 The Odd Squad investigates strange events. Getting a villain back to headquarters proves cumbersome when the tubes are down for maintenance. 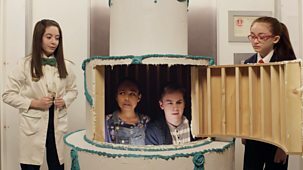 The Odd Squad investigates strange events. Odd Squad and Villains work together to stop a giant robot. The Odd Squad investigates strange events. When a new room opens up in headquarters, all the agents want a piece. The Odd Squad investigates strange events. Otis and Olympia investigate why people in town are stuck in slow motion. The Odd Squad investigates strange events. When an unlucky coin is accidentally released into the public, the agents must retrieve it before the world ends. The Odd Squad investigates strange events. 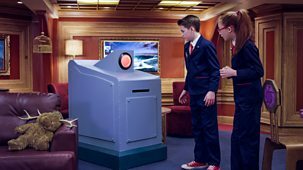 Agents compete against rival Odd Squad agents to solve an odd problem. The Odd Squad investigates strange events. 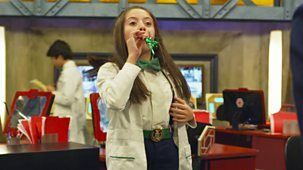 Oscar is it a gathering of Odd Squad scientists at Odd Squad Academy. The Odd Squad investigates strange events. Otis and Olympia are stuck with a new robot partner. The Odd Squad investigates strange events. 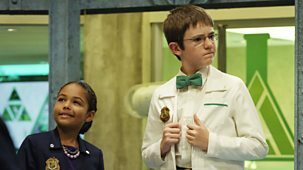 Oscar attends a gathering of Odd Squad scientists called Lab-Con at Odd Squad Academy. The Odd Squad investigates strange events. 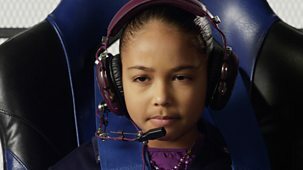 When Ms O leaves to conduct a super-secret mission, the agents compete to figure out who is in charge. The Odd Squad investigates strange events. Security agents Owen and Ohio secretly provide backup on a case so they can have a pizza party. The Odd Squad investigates strange events. When the agents go to lunch, they struggle to relax and to ignore the oddness. 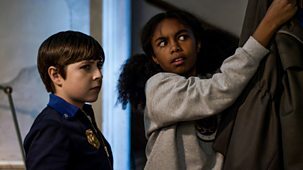 The Odd Squad investigate strange events. 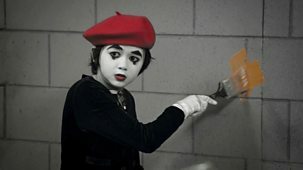 When things in town get covered in jam, the agents turn to Odd Todd for help. 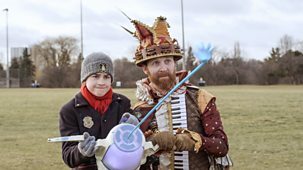 The Odd Squad investigate strange events. 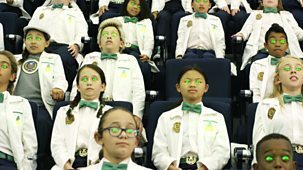 When Odd Squad is asked to make a recruitment advert, Ms O proves difficult. 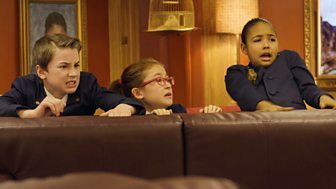 The Odd Squad investigate strange events. When the agents are accidentally transported to the future, they need to work out what day it is or risk a catastrophe! 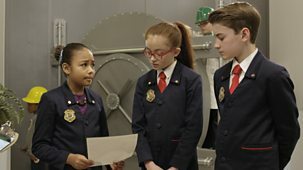 The agents struggle with a case while Oscar interviews candidates to run the Odd Squad creature room. The Odd Squad investigates strange events. Oona tells the story of when she switched bodies with a fly. The Odd Squad investigates strange events. Olympia and Otis are forced to babysit Baby Genius. Series 2: 32. Who Let The Doug Out? The Odd Squad investigates strange events. Delivery Doug needs help with an egg situation. The Odd Squad investigates strange events. It's party time for all the new agents at Odd Squad. The Odd Squad investigates strange events. The agents try to resolve a disagreement between Ms O and Oksana. The Odd Squad investigates strange events. When Ms O gets trapped in a mirror, an opposite Ms O enters the real world. 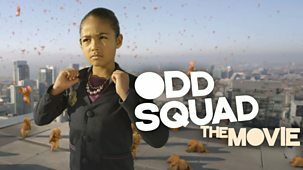 The Odd Squad investigates strange events. The agents get trapped in a computer.